Bonjour Munich — French breakfast and lunch, delivered! 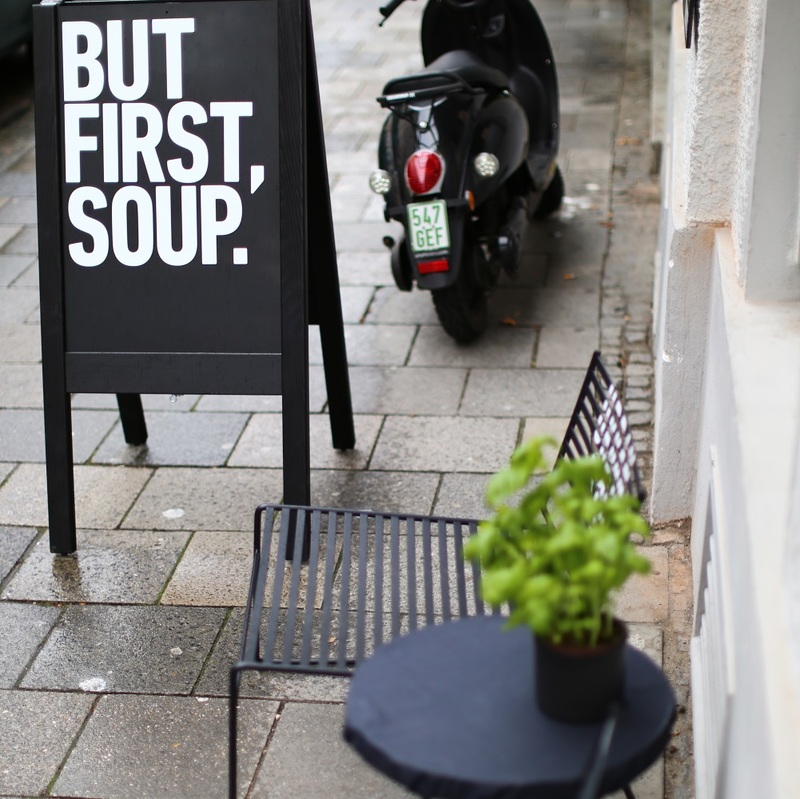 Urban/Soup’s Munich soups already made it onto our list of favourite fresh fast food last fall. Now is as good a time as any to devote a few more lines to the shops in the Glockenbach quarter and Maxvorstadt. Even if temperatures have recently broken the zero-degree threshold, after the Munich ice age I can only think of summer holiday and hot soup. And since I’ve got a while to wait until the former, I’ll warm myself from the inside with Urban/Soup. 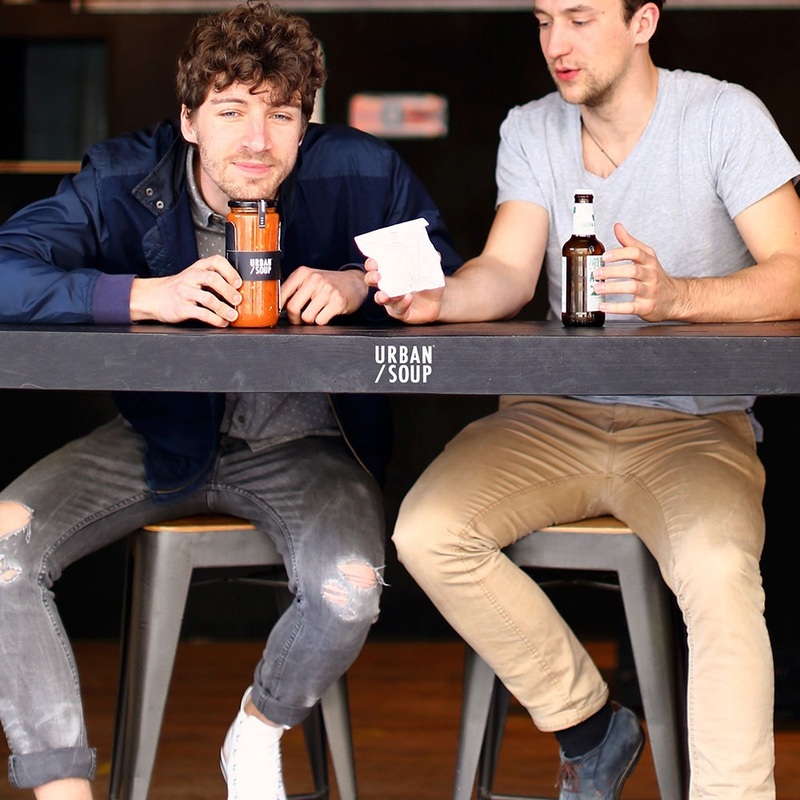 Founders Tim Maiwald and Daniel Schmel’s principle is all in the name: soup done urban. Away from Grandma’s recipe book and newly interpreted. 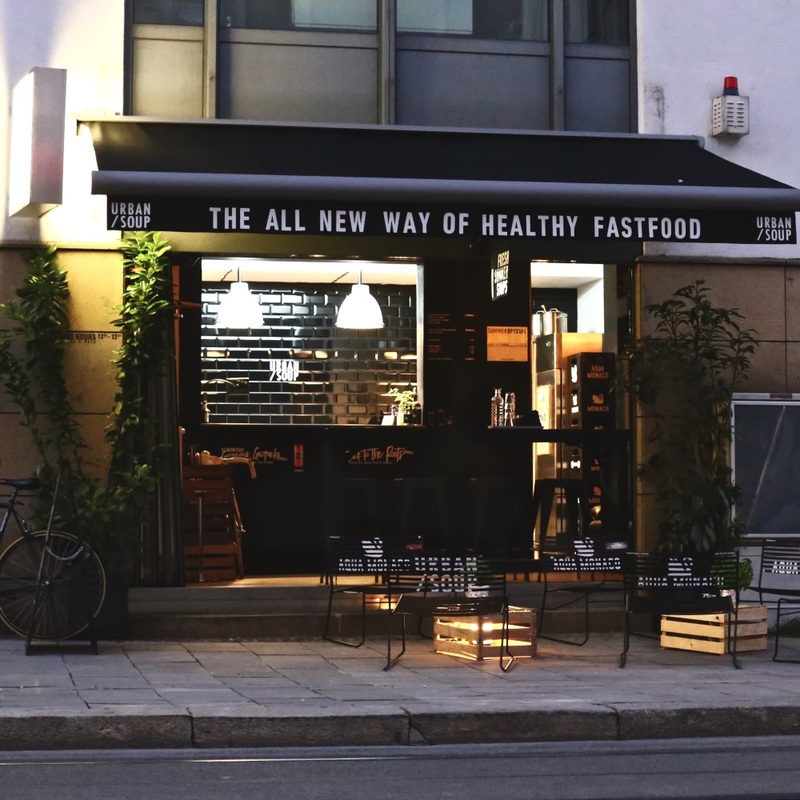 These city guys want to use Urban/Soup for good, to make fresh and healthy fast food that does not sit too heavy in the stomach but is still filling. Made from high quality, regional ingredients and prepared to order. Simple to consume and eco-friendly. 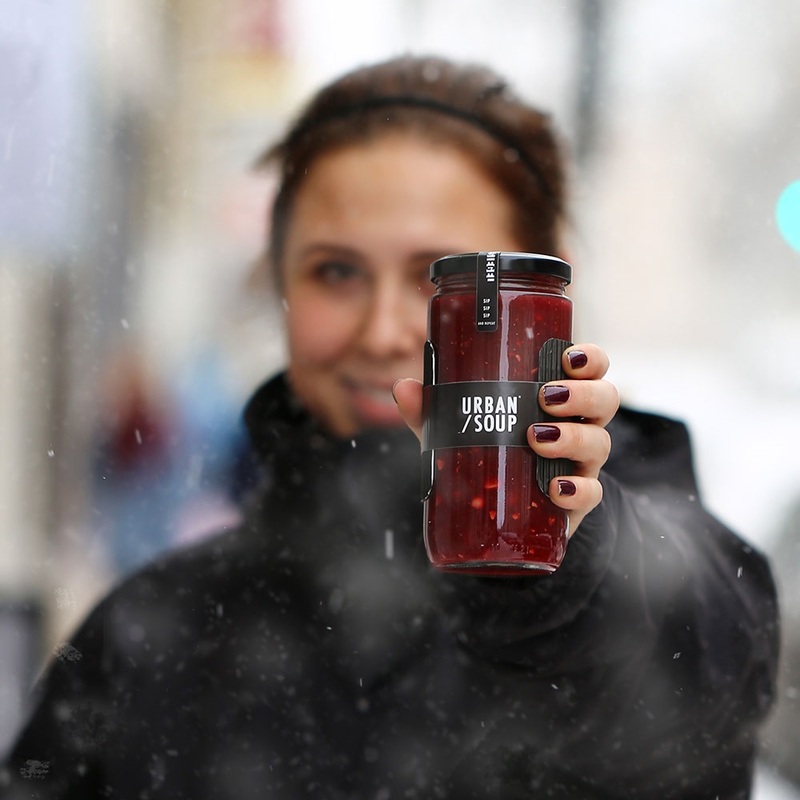 The results of an intense planning phase in November 2015 were nutritional, sustainable, and above all delicious soups to deliver, pick up, or enjoy in store. The menu reads and tastes wonderfully diverse: Olivia’s Healthy Tomato comes as a fruity mix of tomatoes, olives, feta, and herbs; the red beet star Back to the Roots is refined with ginger, wasabi, and Brazil nuts; while the exotic Himalayan Dhal combines lentils, peppers, cumin, and fennel. Alongside vegetarian and vegan soups, the menu also offers a fine potato soup by the name of Smoky Vienna with smoked sausage, nutmeg, and white wine, as well as Tom’s Tasty Chorizo Sensation, a tomato soup with spicy chorizo and dates. The fabulous compositions come from Tim’s older brother Robert Maiwald, a gourmet chef who the founders brought from Switzerland. 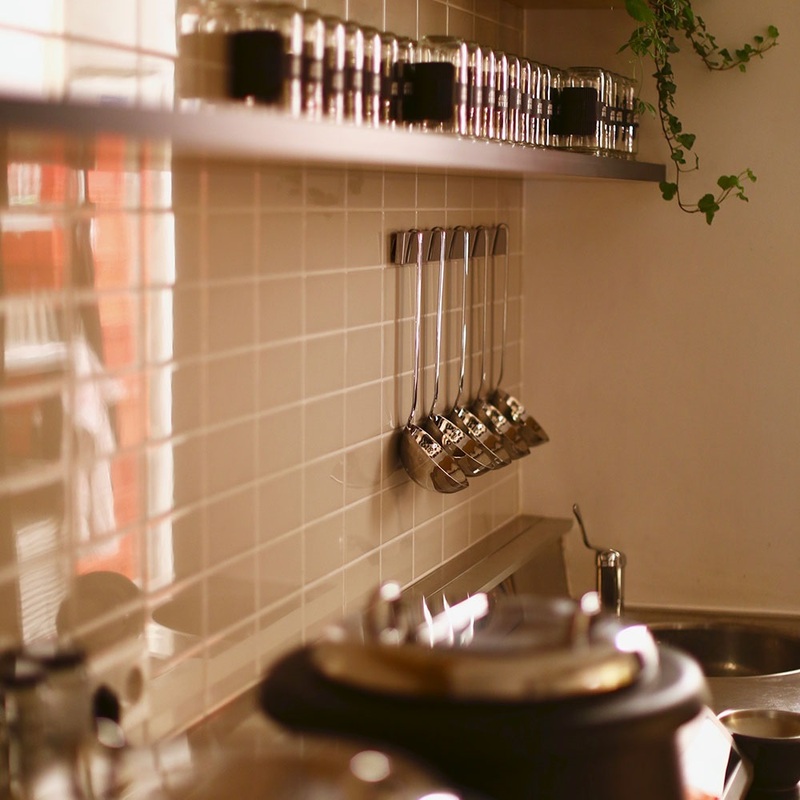 He creates the eccentric recipes, fine tunes the ingredients, and takes care of the seasonal changes. 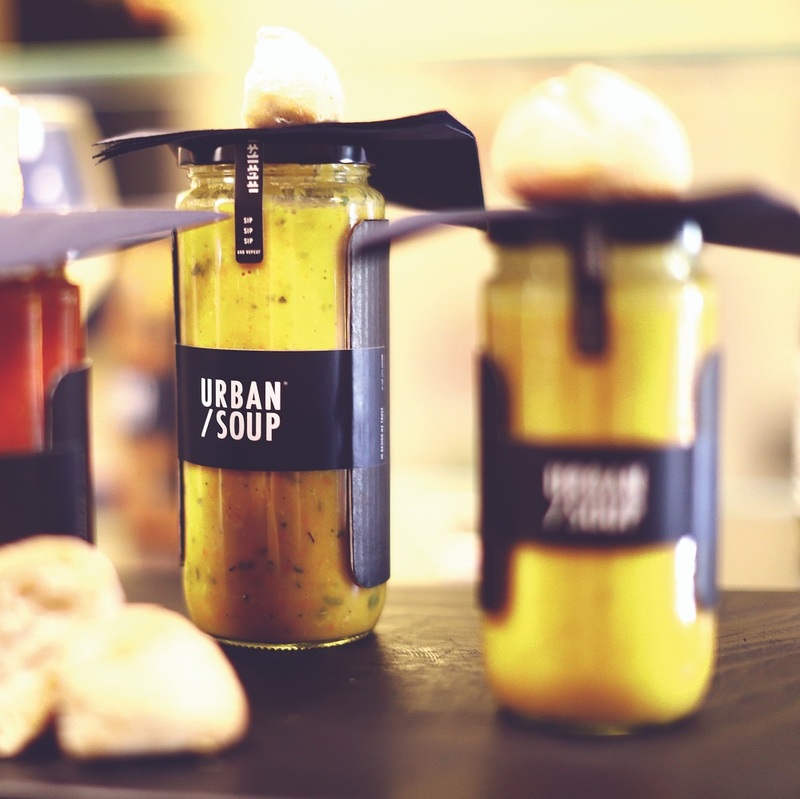 Another perfectly thought out detail of Urban/Soup’s concept: the soups are served hot and ready-to-eat in cylindrical screw top jars. They’re easy to transport, keep the soup warm for a long time, and are perfect as a soup drinking glass. Nice and clean for on the go, at the office, and at home, that neither creates waste or requires additional bowls and cutlery. An extra bonus for the environment: Urban/Soup is happy to take the deposit-free glasses back to be reused. I already can’t wait to surprise my small company with a soup day. Maybe a Monday, for a healthy start to the week. Though I won’t be able to test the true potential of the large orders that are available for meetings, events, and office luncheons. But the warm soup is perfect for me in my one-woman-office as a superdrug against midday drowsiness. A small stock in my office fridge is definitely worth considering, as the soups can be stored chilled for up to three days. 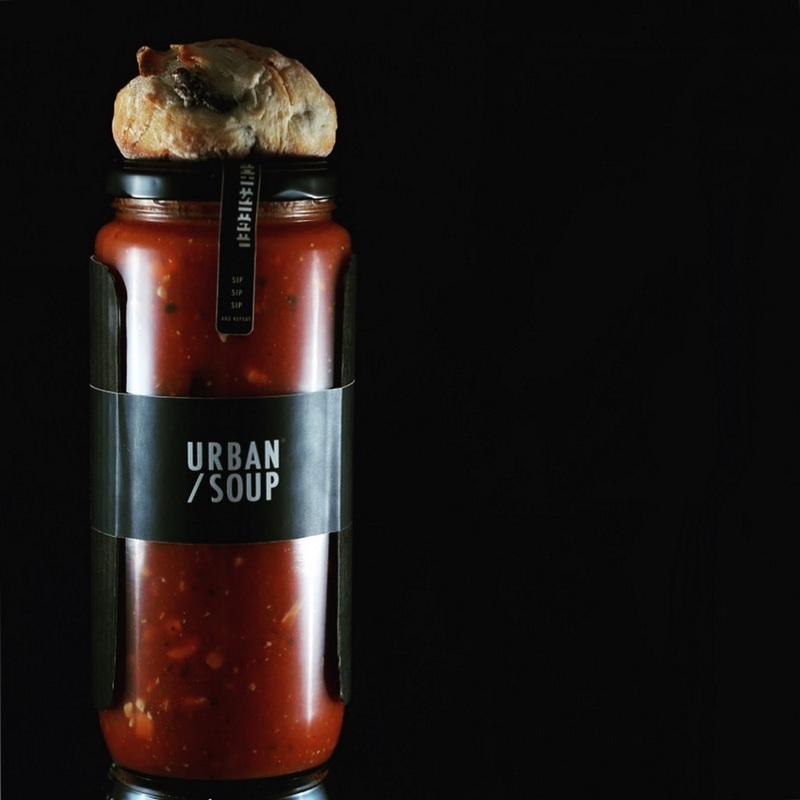 One thing I’m sure of this summer: I’ll be taking Urban/Soup to go, enjoying it out on the town – with some gazpacho under the Munich sun, I’m sure it’ll feel a bit like holiday.